Donna Brave: And the Strangler of Paris Collector's Edition is rated 4.3 out of 5 by 51. Rated 5 out of 5 by andibeard from Well done This is a fun HOPA, pretty straightforward and with good graphics and a decent storyline. There may be a tad too many "insert the shape in the ___-shaped lock" puzzles, but this game at least tries to vary the ways in which you can solve the mystery and defeat the strangler. The HO scenes are moderately challenging, particularly the morphing objects, and the collectibles ranged from "obvious" to "invisible." Overall, I'd say I would have been just as happy with the SE as the CE, but either way, it's a fun game if you aren't looking for something super-challenging or super-easy. 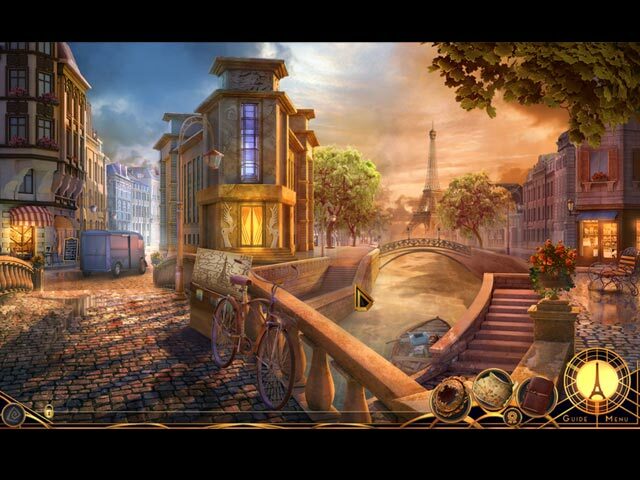 Rated 5 out of 5 by katnap123 from If you suddenly break out in geometric symbols while you're in Paris, run! I forgot that I had played this game right after it first came out, but I thoroughly enjoyed it again the second time around. Enough time had passed for it to feel almost like new again. A couple of collectables were really hard to find, which was nice. The pacing was good and I never felt bored or like the game had become tedeous in any way. I almost never buy CEs, but this was the first game in a new series, and Mad Head rarely lets me down anyways. There's been a couple of games that seemed a little too short, but this one was a decent length, and I felt like I got my money's worth. I look forward to playing the next game in this series. Rated 5 out of 5 by atteckwhite from Donna Brave, not to bad! Bought this a while back, only just played it, as I had just seen the sequel on sale the other day and thought I should see how interesting or not this character was, as the new game has received an average rating. This game is immersive and interesting and the story is compelling enough for me to want to find out what happens at the end. I thoroughly enjoyed Donna's first adventure and will be buying the new game at some point. Rated 5 out of 5 by Yurnmesis from Excellent Throughout BUT... Overall: Intro rune related vintage circa 1920’s.This game reminded me of the excellent Final Cut series that exhibited comparable quality and fun. Very well crafted and designed game with exceptional scenes and great interaction. Ending was a bit of a “yawn,” but that isn’t a negative since so many games just can’t seem to develop a “wow” ending. Well worth the time and effort to enjoy the journey, observe great details and follow a storyline that flowed with direction and reasoning and was entertaining and a fun experience. Graphics: Excellent, great scenes, detailed and well crafted. Sounds: Good. Music: Some repetition but not frantic during HOG, more soothing and enjoyable throughout game. Characters: Beautifully crafted and designed. Hints: Excellent. Map: Didn’t need to use often. HOG: Excellent! Offered a bit more challenge that usual, which is a good thing. Great details on objects! Mini: Not a fan of mini game, but tried most of them, gave up on a few, but overall they were well done, and well designed. Rated 5 out of 5 by sadcypress from I Love This! Have you ever played a game where you feel as if you’re right there within the scenes, even though you know it’s only graphics? That’s the way I felt throughout this game. I’ve had that same sensation with a few games, and it’s always made the experience that much more pleasurable. I found some of the scenes mysterious, and other times gruesome yet what would be expected at an archeological dig. The majority of the scenes and hidden object items were absolutely beautiful. There was one where we are to find fossils and artifacts that was simply incredible, my jaw nearly dropped and I found myself wishing for an entire game of this artwork. The dinosaurs, museum rooms and artifacts were stunning. I’ve noticed that some people didn’t care for this game, and I understand because sometimes a game that others like is just not for me. I mainly wanted to say that this game had so many likeable aspects for me. Oh my gosh, the musical themes. The haunting piano and violin tunes are perfect for the settings, and the sound effects are so realistic that twice, I looked outside my window because it sounded like someone was creeping up my porch steps. While I was in the top room in one section, it sounded like someone was moving things around at the other end of my home. I’ve never played a game where the sound effects could give that impression, with theater quality impact. I’ve bought a lot of games over the past decade (kind of embarrassed to say how many, lol. I’m addicted, but hey, no calories in games). I mainly review the ones that make a strong impression on me. This one receives an A+. Rated 5 out of 5 by anneframboise from Nice game I must say that MadHead produces the best visual quality games. Stories are interesting and once you start it's hard not to go on and on just to know what's on next. And that's what I like. Sorry for the other games producers but MadHead produces the best type of game I found to play on a regular computer. Rated 5 out of 5 by skullfun from MAD HEAD IS ONE OF THE GREATESTS HOPA STUDIOS OF THE DECADE! They keep spinning out new sequels and producing series, all of which are excellent in quality and impossibly captivating. In this first Donna Brave game, the Golden Circle (an exclusive club in which your uncle is a part of) is under attack from the “Strangler”. The members of the Golden Circle are being murdered one by one, can you save your uncle Andrea before he reaches the same fate as his friends? It is worth noting that Donna Brave’s storytelling is impeccable. The game grabs your attention right away with its cinematic opening sequence and never lets go. The unraveling of the plot is done in such a sophisticated fashion that always makes you want to know more, the fast-paced nature of the storyline is extremely engaging, and the characters are distinctive and memorable. The art style of Donna Brave: And the Strangler of Paris perfectly captures the art deco era of 1920s Paris. Each location is packed with exquisite details and astonishing colors, not a single scene in this game is not wallpaper-worthy. The audio also plays an important part in this game. The beautifully-composed soundtracks are fitting for the theme of the game. Moreover, the voice-overs come with near-perfect lip-syncing and are appropriate for the characters. Donna Brave: And the Strangler of Paris even excels in the gameplay department. Nowadays, the market is cluttered with cookie-cutter adventures, it is refreshing to see a game that attempts to break the mold. Donna Brave does not exactly do anything revolutionary, but it is evident through its gameplay that a lot of brainstorming occurred during the development process. Donna Brave involves an unusually high amount of multi-level tasks and interactive inventory items. 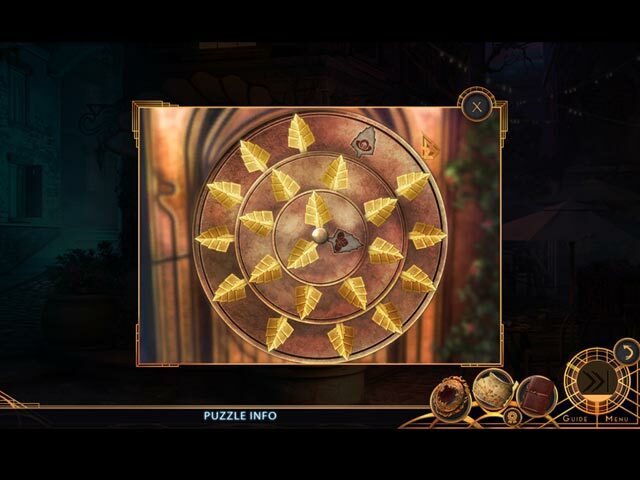 Thus, this is guaranteed to be a challenging game, even for advanced HOPA players. 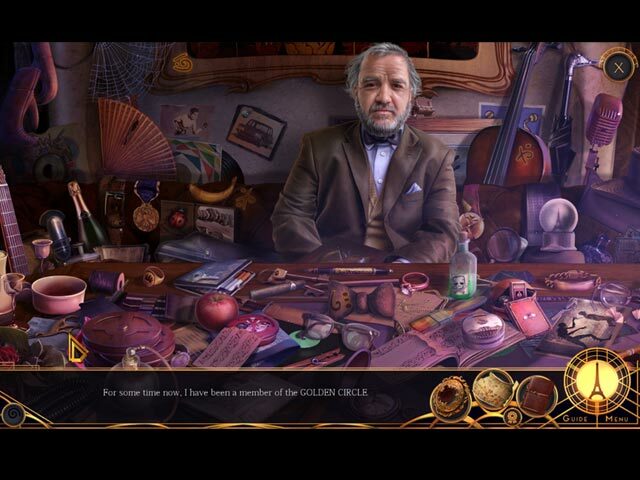 The hidden object scenes are equally creative and are all very entertaining. I feel like the puzzles could have been more unique, but I appreciate the integration into the storyline. Donna Brave: And the Strangler of Paris offers around four hours of fun in the main game, and the bonus chapter an hour. With all the praises given this game, the Collector’s Edition is definitely the way to go. It includes a bonus section with items like a strategy guide, wallpapers, a character gallery, concept art, soundtracks, a memory game, re-playable hidden objects scenes, achievements, collectibles, and morphing objects. Rated 5 out of 5 by blumonkey67 from WOW! Great game and storyline i could not put this one down too long. I enjoyed it so much I was not too happy about the demon factor of the story but overall it was so very good. The games were somewhat challenging but fun and NOT VERY HARD. Games should be enjoyable and not stressing. Madhead Games are the best. Rated 5 out of 5 by julie1345 from Mad Head games are excellant! Wow, I don't usually like Collector versions, but this one was excellent in all ways. Plenty of game time, amazing graphics, the people almost looked real. The storyline had me paying attention for a change. The dialogue was believable, and followed the storyline. This game had everything I look for in any game, Collector, or Standard. Great job guys!